James Bond: Born in Germany? Agent 007 is definitely one of the most famous British fictional figures ever created. But according to some sources, he was actually born in the Ruhr valley. An exhibition in Bochum promotes the spy's German roots. In his first James Bond novels, Ian Fleming didn't offer much information about the spy's origin and background. Bond obviously had to be British, given the fact that 007 worked for the UK's secret service, but that's all that was officially known. Following the popularity of the first James Bond film, Dr. No (top picture), released in 1962, the author provided a few biographical details in his next novel that tied in with the background of actor Sean Connery, who played the secret agent in seven films. In Fleming's You Only Live Twice (1964), Bond goes missing, and an obituary written by his superior, M., the head of the Secret Intelligence Service, mentions the names and nationalities of 007's parents. His father was Andrew Bond, a Scottish man like Connery, while his mother, Monique Delacroix, was a Swiss national — adding to the spy's international flair. Later on, John Pearson, a former assistant of Ian Fleming at the Sunday Times newspaper, wrote a biography of the James Bond creator, titled The Life of Ian Fleming (1966); he went on to write a related work of fiction, James Bond: The Authorized Biography of 007, which was first published in 1973. 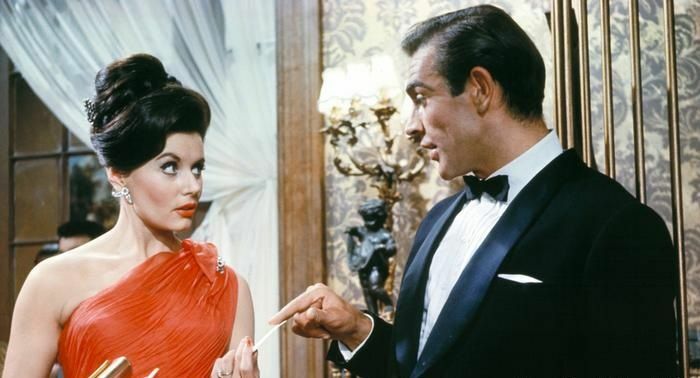 In the book, Pearson includes himself as a character of the plot: After the success of his Fleming biography, he is commissioned by MI6 to write the life story of agent 007. Based on elements found in Fleming's novels, Pearson thereby fills in the blanks surrounding Bond's background. While the biography was not actually commissioned by the publication company behind Ian Fleming's books, Pearson knew the Glidrose Publications chairman and obtained his permission to publish the work, making it an authorized biography. In Pearson's book, 007 fans discover that James Bond was born in Wattenscheid near Essen, in the Ruhr region, on November 11, 1920. While it used to be a separate town, Wattenscheid now belongs to the city of Bochum, where the exhibition "On a secret mission: The spy who came from Wattenscheid" opens on February 1. According to Pearson's account, Bond's father Andrew, an engineer with Metro-Vickers, was stationed in Wattenscheid to dismantle Krupp's armament factories for the allied military government. His wife, Monique Delacroix, had actually planned to go back to England to give birth, but she was caught up in Wattenscheid because of a rail strike. Bond became an orphan at an early age; his parents died in a climbing accident in the Swiss mountains. Still, even after his aunt became his guardian, the young James would regularly return to Wattenscheid, where the family kept a summer house. There are, however, contradictory accounts surrounding Bond's place of birth. For example, according to Charlie Higson's Young Bond books, another official series based on Fleming's story, the secret agent was actually born in Zürich. But then, according to the passport given to Daniel Craig as a prop in the movie Casino Royale, Bond was born in West Berlin — and way later, on April 13, 1968. Experts who have tried to crosscheck James Bond's biography in detail, such as John Griswold in Ian Fleming's James Bond: Annotations and Chronologies for Ian Fleming's Bond Stories, have noted different background inconsistencies emerging from the author's own novels. Apparently, that didn't bother Fleming too much. Film journalist and Bond expert Siegfried Tesche sees Pearson's version as the authoritative one, since the biography author knew Fleming very well. Tesche also argues that many official events still celebrate Bond's birthday on November 11, based on Pearson's account. In the end, for some fans, Bond works best as a character without all those details about his background. Nevertheless, the exhibition celebrates 007's Ruhr valley roots. Siegfried Tesche, who also curated the exhibition, definitely sees links between Germany, the fictional figure and the author of the novels. "A little bit of James Bond can be found in Ian Fleming," he told DW. For example, like agent 007, the author also worked for the Royal Navy's Intelligence Division during World War II, before he started working as a journalist and an author. "Fleming had to deal with the Nazis and German spies, and with the Cold War afterwards; and he built in the stories and things he experienced during the Second World War into his novels later on," explains Tesche. Fleming also studied in Austria, Germany and Switzerland, points out the Bond expert. The author was fluent in French and German, and spoke Russian and different other languages too. He also loved the Alps, where he learned to ski and climb — all these passions would later emerge in his fictional character's adventures. Among the exhibits Tesche organized for the James Bond exhibition in Bochum are different vehicles, including the Sunbeam Alpine S II the secret agent drives in Dr. No (1962), the one-man helicopter he flies in the 1967 You Only Live Twice and the Lotus Esprit S1 sports car seen in a chase in The Spy Who Loved Me (1977). Costumes, films scripts and other Bond accessories also make up the exhibition. Along with the exhibition, the program includes different film screenings and talks with physics professor Metin Tolan, renowned for analyzing the science behind 007 movie stunts. The Bond exhibition can be seen in Bochum until March 31.